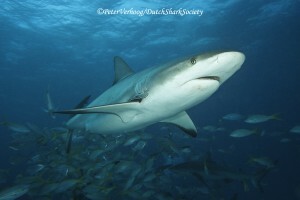 According to experts, the Dutch Caribbean islands are home to at least 33 shark and ray species. 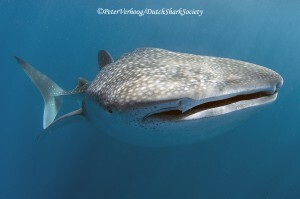 Among which some of the most iconic species, such as whale sharks, tigersharks and hammerheads. As the largest shark and fish species of the world, the whale shark is a highly migratory species. 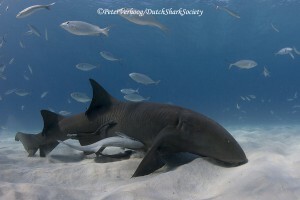 The nurse shark is one of most common shark species inhabiting the Caribbean. 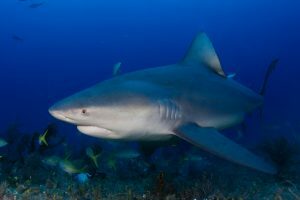 The Caribbean reef shark is the most common reef shark in the Caribbean. The illustrious tiger shark is a circumglobal species that is found in a wide variety of habitats. 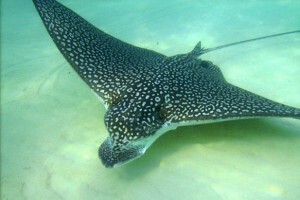 The spotted eagle ray can be easily recognized by the spots on its body and its characteristic nose. 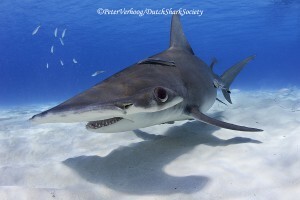 The great hammerhead is the largest hammerhead species with a maximum size of six meters. 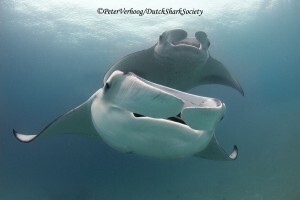 A relatively rare visitor to the waters of the Dutch Caribbean is the giant manta ray, the largest of all ray species. 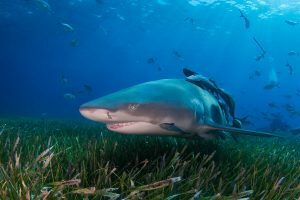 The lemon shark is a large-bodied shark that is easily distinguished by its relatively large dorsal fins and yellow-brownish skin. The biology of the bull shark is remarkable, because it can swim in both salt water and fresh water. Around Aruba, Bonaire, Curacao, Saba, St. Eustatius, and St. Maarten the following 25 species generally occur. 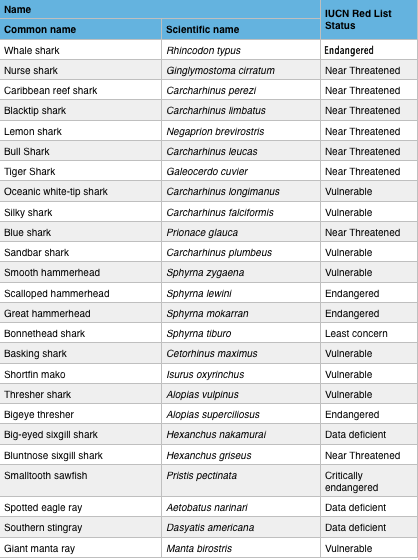 According to experts a total of 33 species occur, but sufficient information about the occurrence of the additional species is still lacking.